Opening Memorial Day Weekend for 2019 season! 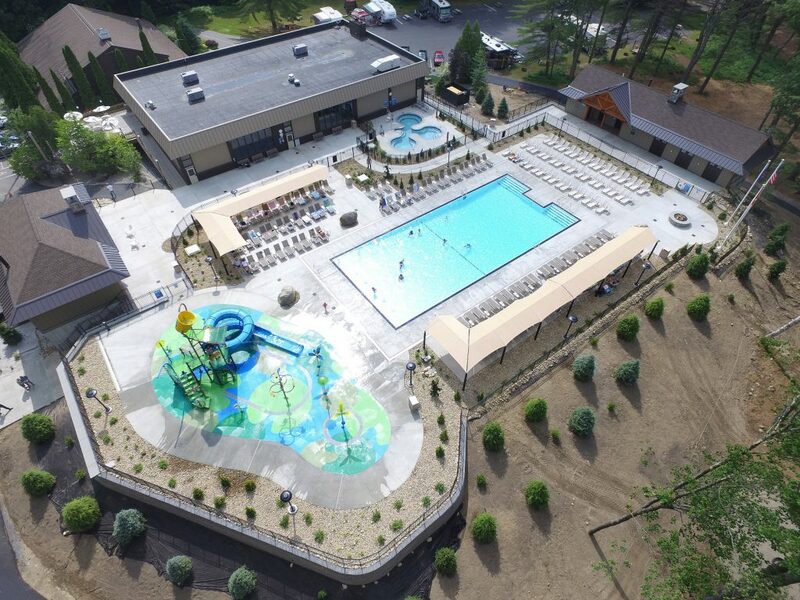 Cascade Cove is now open here at the Lake George RV Park. Take a look at LGRVP’s newest amenity below. 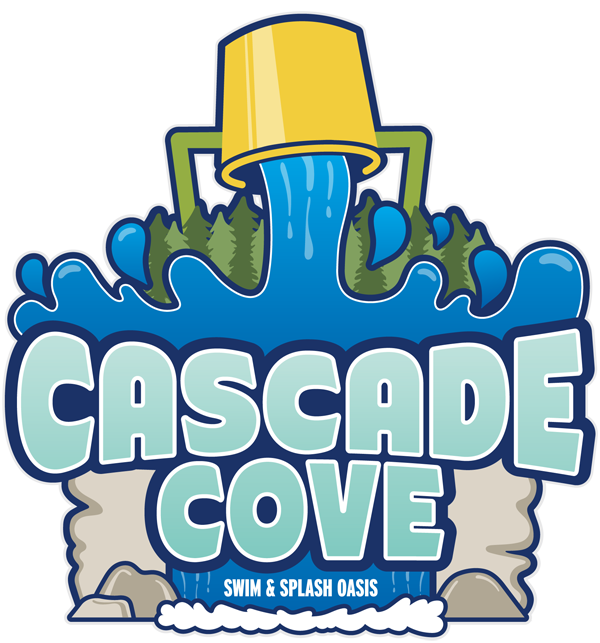 Cascade Cove is opened! 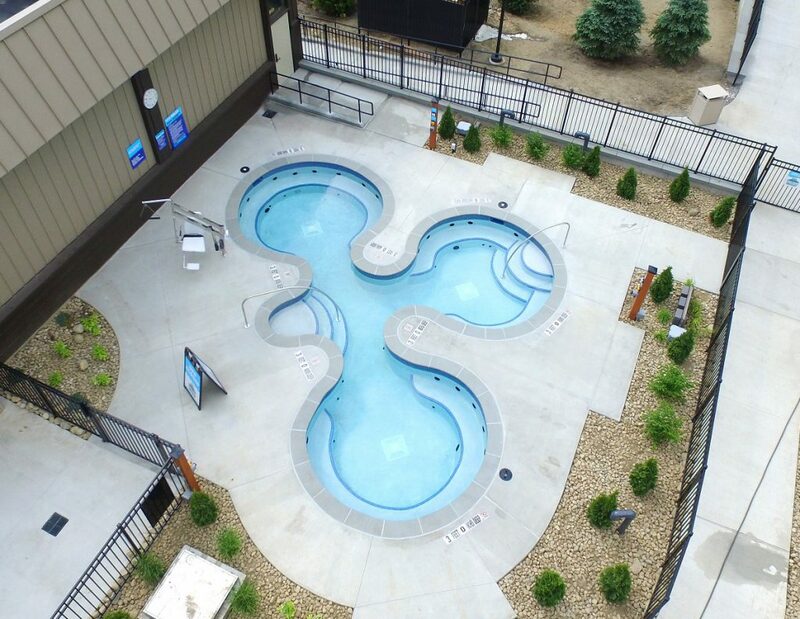 This exciting new aquatic park features a fully accessible zero entry swimming pool, large hot tub cluster that seats 38 people and an exciting interactive spray feature with 32 interactive spray events including a huge dumping bucket and enclosed twisting slide. Have fun in the sun with a seat in the shade. 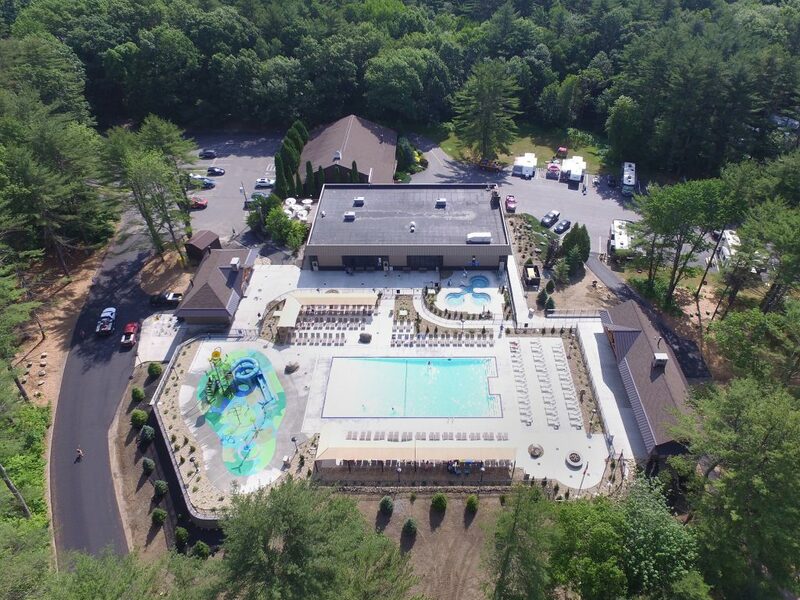 Our new swimming pool includes prominent shade structures surrounding the pool deck. 38 person capacity hot tub heated to 103 degrees and open daily for our operating season following our grand opening this summer. Water play fun for family members of all ages. 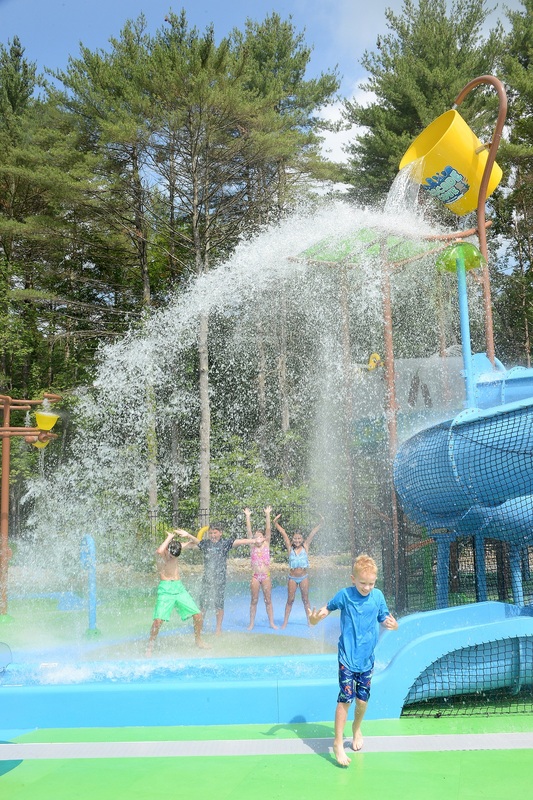 This unique custom spray ground is unlike any other you’ve experienced at a resort in the northeast. 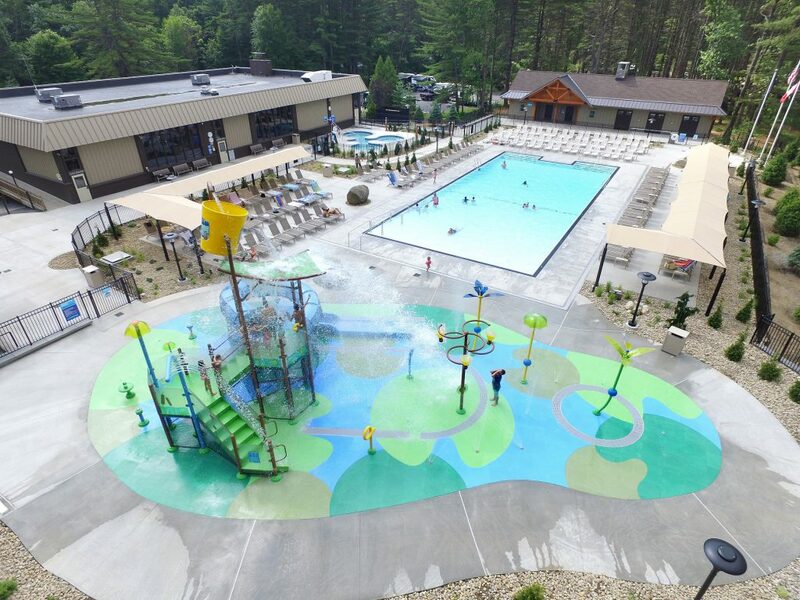 Cascade Cove aquatic park facilities are for the use for registered LGRVP guests only. The use of all amenities and services at LGRVP are included in the nightly camping rate.